The Sony SmartBand 2 was released and it has a heart rate monitor! You are here: GeekSays Technology News » Smartwatch News » Sony Smartwatches » The Sony SmartBand 2 was released and it has a heart rate monitor! Lately, when it comes to wearables, everybody seems to be focusing on smartwatches, especially the new Moto 360, rumored to make its debut soon. But what about fitness bands? After all, they’re some excellent pieces of technology too! Not to mention that a new one, the Sony SmartBand 2, was recently introduced. The latest version of the Japanese manufacturer’s fitness tracker brings a massive improvement, compared with the first generation: it has a heart-rate monitor , a feature which, we don’t know why, wasn’t present on the first model’s spec sheet. As Engadget states, the Sony SmartBand 2 doesn’t come with a lot of changes in terms of design, as the manufacturer considered that a new look isn’t that important. To be more specific, they followed the form<function principle, therefore their new wearable is lacking a display, but it does its job perfectly: tracking almost everything you do. You can sync your Sony SmartBand 2 with the Lifelog app and use your smartphone’s display for checking out all the details. Also, it can send notifications to your phone, so you’ll never miss or skip workouts. It’s not just for fitness! But your fitness stats aren’t the only thing this little guy can do! Sony introduced at a device you can wear all the time, being able to detect when you’re doing various activities, like taking photos, swimming, climb a ladder, track your sleep or alert you if you forget your phone somewhere. All the collected data will be gathered by the above-mentioned Lifelog app, so you can check it whenever you want. 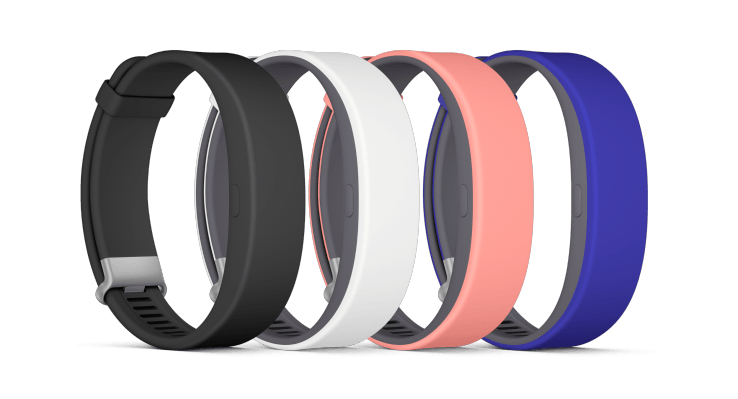 The Sony SmartBand 2 swill be available starting with December, just in time for the Christmas season, in various colors: Black, White, Pink and Indigo. The retail price will be $130, pretty affordable, considering all the stuff it can do.